The BBC’s World Cup of kits is under way – pick your favourites from 32 teams in a knockout format. 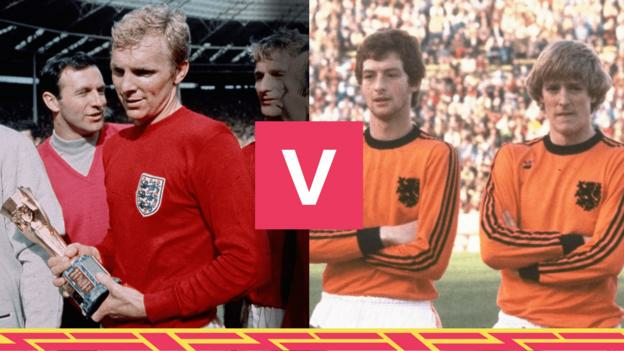 The selection process for the first round will end at 10:30 BST and the winning teams will be revealed from approximately 11:00 in our live World Cup page, where you can also join the debate on classic kits. The last-16 stage will start in this page at 11:30. The 32 kits were selected by a panel of BBC Sport journalists with former England internationals Danny Mills and Stephen Warnock conducting a draw for the first round.